One question: When people in the UK or Canada have an MRI on their upper arm bone, do they spell it humerous? My hilarious MRI - the one to check out that funny spot on my humerus, is scheduled for Saturday morning at 8:00 a.m. I think the joke is on me. I've been all, "oh, this is ridiculous and a waste of time. I am only seven weeks out of herceptin, it is unpossible for me to have a mets to my bone this early." Then I was like, "Wait a sec. 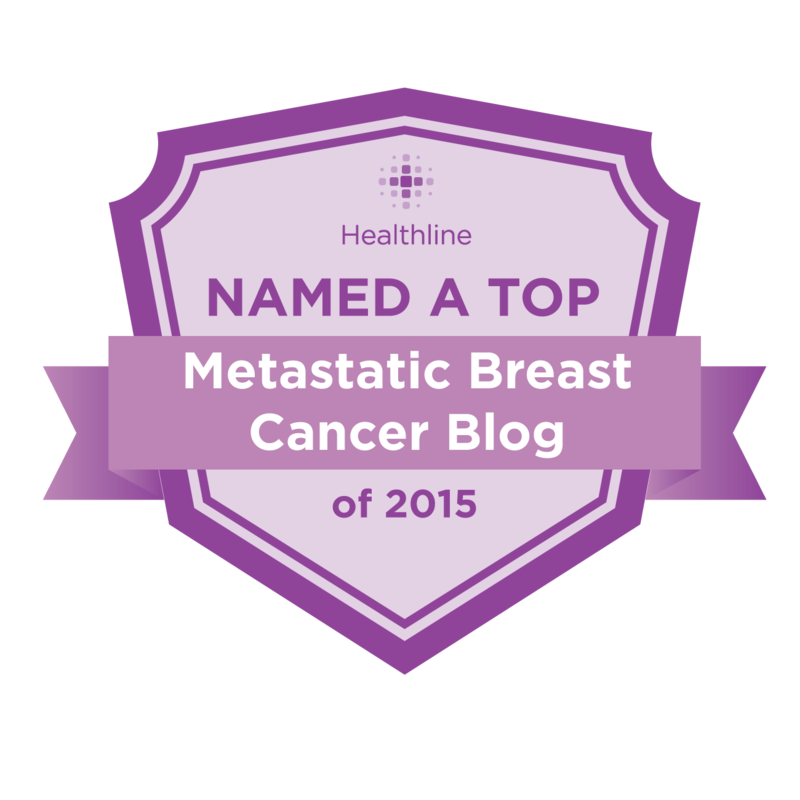 I'm only thinking about herceptin - what about chemo? Like, I totally forgot - not everybody responds to herceptin! It's been ten months since my last chemo infusion, and dude, the average age to relapse is 16 months. I could just be a cancer over-achiever instead of the slacker I thought I was." See, boys and girls - this is what we cancer patients - all cancer patients - go through. Your friends with cancer might not tell you, but they are just like me. Because invasive breast cancer "survivors" are only considered in remission, not cured, we are aware it could always come back; therefore, we are always worried it will. Most people with breast cancer will die of old age. Or, perhaps a tragic piano-related high-rise accident. But, they'll never know which - until the day the music dies. Some people think every ache and pain is a relapse, and worry themselves into penny ulcers. I'm not like that. I knew my shoulder pain was an injury and even knew it was a rotator cuff. When I get a headache, I think headache, not brain cancer. When I have a sore rib, I wonder where I bumped it. My mind does not jump to cancer with every sneeze. It's not until a medical professional escorts me there do I climb into the rollercoaster. When a doctor says, 'I don't want to worry you, but look at this...." I start to hear the rumbling. On the rollercoaster I climb. I like the relief you feel when you get off them though, and that's what I expect to feel next week. What is also laughable is the fact that the injury I likely have in my shoulder typically does not respond to anything but surgery. The top ligament that attaches the bicep to the shoulder is ripped out and has to be surgically repaired. So, another scar, another healing period, more time off work. 2 years ago, I was a very healthy, fit, youthful (for my age) woman. I couldn't imagine having surgery, I couldn't believe anything worse than a migraine would be my fate. It's not funny, but you sometimes have to laugh to keep from crying. I know about torn rotator cuff. Mine is too -- on my right shoulder. Right now my right arm is doing double duty while my left is healing from surgery to fuse the CMC joint in my left thumb/wrist -- and I'm left handed. I'm not thrilled about facing surgery in another year or so. Heck, it's been torn since 1974, I can wait another year or so...I hope. I tore my labrum last year (a pre-breast-cancer climbing injury) and so have been through the same thing. I had an arthrogram MRI which was nowhere near as painful as some of the things I underwent during BC treatment. For what it's worth, we thought I might need surgery for my shoulder but amazingly enough, after three months of physical therapy the pain was gone and my range of motion was pretty much back to normal. It sounds like you might have a worse tear than I did (sorry!) but perhaps aggressive PT might be able to stave off surgery? Hang in there. We're all with you. As you said, it's the same for all of us. Sending positive thoughts your way. So you go for your MRI tomorrow? When will you learn the results? I'm tremendously concerned, as I know for sure you are. I'll worry more about your shoulder later, that can be fixed (although I know it hurts like the Dickens). Positive thoughts from Arkansas, Ann. Maybe my sister will be in admissions -- Susan Crow. Tell her to make you laugh. I presented with mets. I am 42--I will die with or from breast cancer. Up to 30 percent of women originally diagnosed with early stage cancer will have a recurrence. Of those, quite a few will have mets. I wish you best. Hope you never see this side of things.